230 MPH Hayabusa speed record!!! Love the look of this bike. 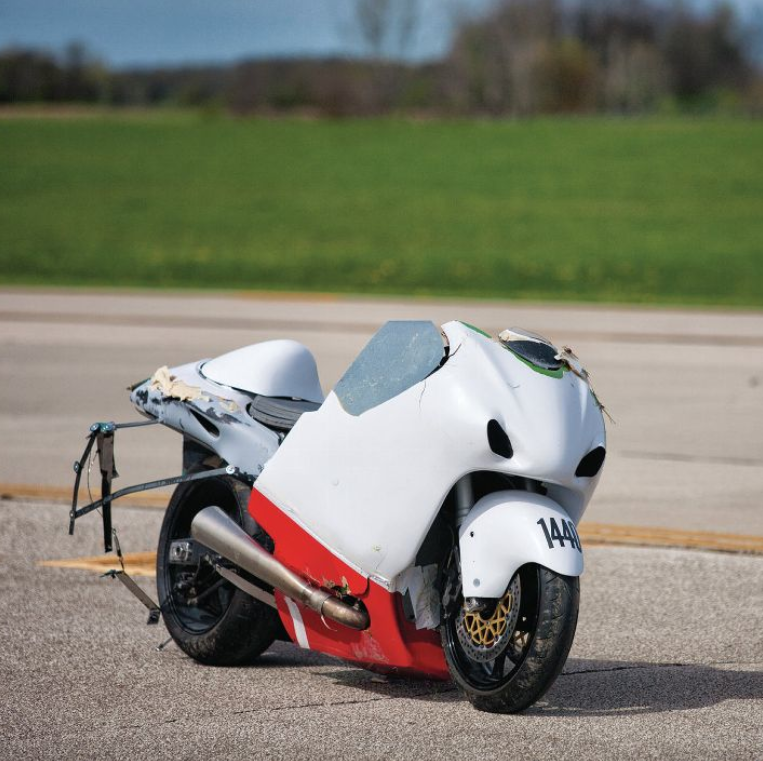 It looks like its being held together with zip ties yet it broke a class speed record by 35MPH… that’s crazy!! !